From small beginnings in Melbourne in 1988, Langton’s has grown to become the major force in all sectors of the fine wine market in Australia. Langton’s is Australia’s leading fine wine marketplace. While it began as a specialist wine auction house, Langton’s now also embraces a comprehensive online wine business together with a private wine broking operation. Langton’s links customers with extended networks of winery cellar doors from across Australia and around the world. Wine can be delivered to customers direct from the source. Langton’s was founded Melbourne in 1988 with a Sydney office opening the following year. What set Langton’s apart from the outset was our passion and belief in Australian fine wines. Our first Classification of Fine Wine in 1991 was a genuine innovation. Since then it has become the ultimate form guide to local fine wines. It was followed up with the internationally respected Langton’s Fine Wine Buying and Investment Guide, now in its 5th edition. Langton’s was instrumental in developing the secondary (auction) market for Australian wine and in building the Australian market for fine imported wines. Langton’s was also a key player in the extraordinary success of Penfolds Grange and other elite Australian wines. Indeed, when Penfolds began its Red Wine Recorking program in 1991, Langton’s was on hand to provide Grange owners with independent advice. This relationship continues. In 2011, Langton’s, now owned by Woolworths, turned another corner with the acquisition of a Brokerage Team which provides customers with exclusive one-on-one service and access to extended networks of cellar doors across Australia and around the world. Today with the release of a new website and trading platform, a new generation of wine buyers participates in a massively-expanded market that operates 24/7. Year by year, Langton's has made history in the Australian wine market. Here’s a timeline of our major achievements. Stewart Langton's launches Australia's first specialist wine auction house, Langton's Fine Wines, in Melbourne. Respected wine [buff], Andrew Caillard, MW, joins the Langton’s enterprise establishing Langton’s Fine Wine Auctions, Sydney. Together, he and Stewart Langton create a series of special event Australian wine auctions to promote the best local wines to a growing international audience. These themed auctions will become important events on the world’s wine calendar. $7,900 – Record price for a single bottle of 1951 Penfolds Grange. Langton's first live wine auction is held in Sydney and the release of Langton's first Vintage Price Guide. Christies, the world’s largest auction house, forms an alliance with Langton's to help promote fine Australian wine to its wide network of international clients. The first Langton’s Classification of Fine Wine is released featuring 34 wines. From a historical point of view, this original Classification helped International and Australian wine investors better understand Australian fine wine and, today, it’s regarded as the industry "form guide" to Australia’s best performing wines. The same year, Langton’s partners in another Australian first – the Penfolds Wine Clinic Program, a specialist recorking program designed to help investors and enthusiasts maintain the quality of their Penfolds wines. Langton’s conducts the inaugural Henschke Quality Assurance program with C.A Henschke & Co and launches the first edition of the Langton’s Australian Fine Wine Buying and Investment Guide (now in its fifth edition). The Langton’s Classification of Australian Wine II is released comprising of 63 wines and expands to 4 tiers. 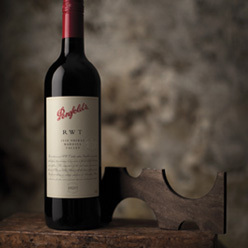 Langton’s hosts a Penfold’s Red Wine Auction - the first single Australian wine brand auction to be held in the country. A highlight of this inguaral auction was a Penfolds Grange set achieving $76,000 (plus buyer’s premium), an astonishing result. The Great Wine Estates of Western Australia was established as an initiative between Langton’s and David Hohnen, then CEO of Cape Mentelle. It is now well known by Australian wine collectors as a union of Western Australia’s top wine brands. Shiraz Australia Auction held at Wine Australia sees a record price for a Grange Set - $196,000 (plus buyer’s premium). The Langton’s Classification of Australian Wine III is released attracting world-wide media and wine trade interest. 89 wines are included reflecting the confidence and dynamic period of growth the Australian wine industry is experiencing. New entrants include Giaconda and Bass Phillip highlighting the rise of small producers from emerging regions such as Beechworth and Gippsland. The decline of the fortified wine market is also noted with the absence of vintage ports in this new Classification. Langton’s launches langtons.com.au. With innovative online auction capabilities a new benchmark is created within the industry. 2002 also sees the very first Langton’s Annual Wine Index charting the performance of a balanced portfolio of Australian wine. Langton’s launches an online Wine Exchange. This allows buyers to secure the wine they want online without having to participate in an auction. Langton’s also holds a major Classified –Cult-Emerging Australian media and consumer tasting in London. A fourth revision of the Langton’s Classification of Australian wine is released. Now including 101 wines, the Langton’s Classification of Australian Wine IV highlights the continued strength and broad appeal of Australian Shiraz and the emerging interest in small production singly vineyard wines. The increased confidence in the ageing ability of Australian wines including Clare Valley Riesling and Margaret River Cabernet is also highlighted. 2005 also marks major Langton’s Classification tastings in Germany and Scandinavia and the first offering of Bordeaux En Primeur with the 2004 vintage to its growing customer base. Langton’s Penfolds Pre Release program is created allowing buyers the opportunity to access sought-after vintages prior to release. Following the success of the Penfolds En Primeur, Langton’s launches the Great Estates of Western Australia En Primeur and quickly establishes itself as the Australian market leader for the purchase of wine Pre Release. Langton’s also unveils a Sydney Wine Exchange and see a two new Wine a price record for 750ml of Australian wine post 1970 – Moss Wood Cabernet Sauvignon at $2,301 (plus buyers premium). Langton’s celebrates 20 years with a series of events including a classification IV auction. The Langton’s Classification of Australian Wine V is released signaling another new era in the Australian fine wine market. Expanded to include 123 wines, Classification V reflects the rich diversity of Australia’s wine regions and highlights the increasing importance of provenance and individual vineyard sites. Langton’s joins forces with fine wine brokerage service Wine IQ to further enhance its position as Australia’s leading fine wine business. Langton’s brokerage provides privileged access to local and international wineries offering a truly unique and personalized wine buying service like no other seen in the marketplace. A single bottle of 1811 Chateau Lafite-Rothschild, one of the rarest and treasured wines of the 19th Century, is listed for $80,000 (plus buyer’s premium). 25 years old and going from strength to strength. To celebrate, Langton’s hosts Classification V tasting events in Melbourne and Sydney. 2013 also sees the opening of a new and consolidated warehouse facility in Victoria. Specifically designed to meet the ever-changing needs of the Langton’s customer, this state-of-the-art warehouse facility is temperature controlled and fitted out with latest inventory technology to offer significant improvements to the Langton’s service offering now and into the future. A new logo, a new website and a more advanced service offering continues to put Langton’s at the forefront, making it the most advanced wine fine service in the world.